The Artic is a magnificent fixture that will create a stunning effect in any setting! 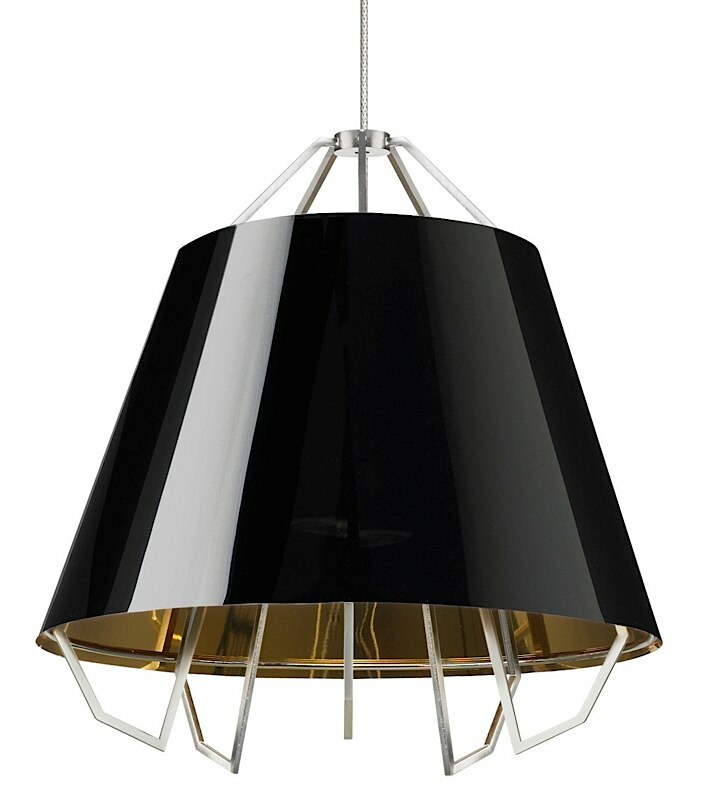 Its metal framework sits within the contemporary high-gloss shade, tracing the pattern of the light and causing it to reflect off of the interior of the pendant. The shade is partially translucent and allows a slight impression of the lamping to emit through. Comes with a satin nickel canopy. Choose between (1) 60W medium base S21 Squirrel Cage incandescent lamp, (1) 50W medium base Halogen PAR 20 lamp, or (1) 7W medium base 3000K LED PAR 20 lamp. Fixture provided with six feet of field­ cuttable cloth cord. Dimmable with standard incandescent dimmer. Due to the size of this fixture, it must be packed extra well in a large box and it ships as freight. A shipping charge will apply to this item.